Broad-leaved Helleborine is common throughout its range and grows in dark woodlands, quite often appearing very close to well trodden paths. 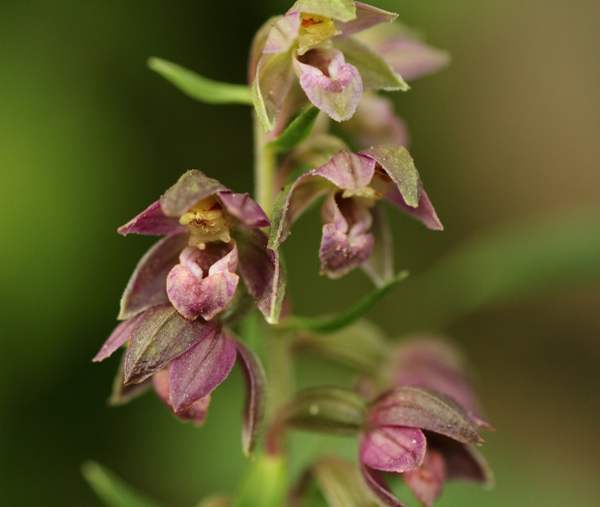 Coniferous and Beech woodlands are particularly good for Epipactis helleborine. Far less common is this very rare variety of Broad-leaved Helleborine, Epipactis helleborine var. purpurea, along with the white-leaved variety Epipactis helleborine var. albifolia and the green-flowered one, Epipactis helleborine var. viridiflora. 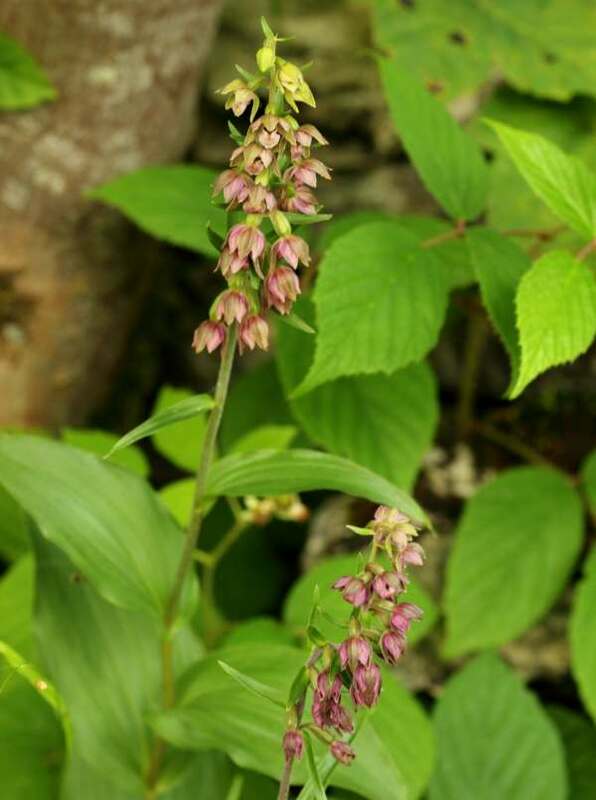 Epipactis helleborine var.purpurea can be differentiated from other specimens of Broad-leaved Helleborine by its large and deep purple flowers. The plants shown on this page were found at Hutton Roof Crags in Cumbria but their rarity makes is very difficult to form an opinion as to the true range of the plant. The specimens shown on this page were found on limestone pavement. July and August are the best time to search for this intriguing plant.